My Civil War Obsession: A Union General Gets Away With Murder. But how? Why? A Union General Gets Away With Murder. But how? Why? A few weeks ago, I made an entry about the Battle of Richmond (Ky) and mentioned Major General William "Bull" Nelson who commanded Union troops during that defeat and who was murdered a month later by a subordinate officer, Brigadier General Jefferson C. Davis. Recently, I have had a conversation with a friend about that killing and, especially, about the lack of prosecution of Davis for this blatant murder he committed in the Galt House hotel in Louisville on September 29, 1862. As we discussed this, I decided to research it and see if I could find any good answer to the questions of how and why Davis escaped his crime unpunished. As I looked through books and online sources, I found no consensus on any single answer, but, rather, several plausible theories about the affair. None of them seem to offer a definite solution, but each may have contributed in some way to the end result of Davis going unpunished. In this entry, I will discuss my findings, and then post a follow-up with a list of sources I used to try to solve this riddle. I freely admit that my "research" is only through secondary sources and limited ones at that - books I happen to own, and websites I happen to find. I also make no claim on the reliability of these websites, though most contain similar descriptions so I have chosen to use them for this entry. I also have learned during this effort that a new book on the life of General Nelson is due out later this year. 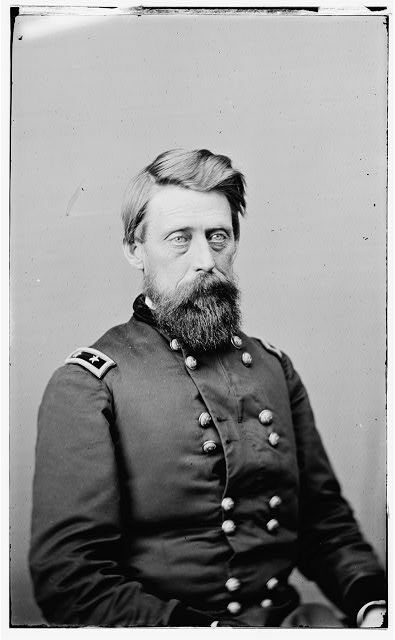 It is The Notorious Bull Nelson: Murdered Civil War General by Donald A. Clark. This book may shed more light or put a new perspective on this incident, so perhaps I should just wait for it instead of posting this now, but this topic has won my interest so I am forging ahead with my exploration of it. Hopefully I will get that book early next year and then can add additional thoughts on the subject to this blog. Though some of the language used in these sources make it hard to determine if some of these theories are separate or closely-related enough to be the same thing, I have broken my findings down into five basic categories of thought. The first is that Davis had very influential friends working on his behalf. These mentions almost always mention Indiana Governor Oliver P. Morton, an influential Republican from the west. Among the sources that follow this line of thought is the Encyclopedia of the American Civil War. See pages 572-3 for a biography of Davis by by Frank Levstik. Also, the book Don Carlos Buell: Most Promising of All by Stephen Engle (pages 297-8) makes it clear that Buell believed it was Morton's fault that no prosecution happened. I also found two mentions that Horatio Wright had Davis released from his arrest, and I counted that in this same category as people using their power or influence to aid Davis, though I have not seen any specific information about Davis and Wright's relationship. The second popular explanation of the reaction to this incident focuses on Nelson's personality, and his reputation as a "bully," a word used in more than once source to describe him and his relationships with subordinate officers and soldiers. Though not all the sources specifically claimed this was the reason Davis was not punished for the murder, this information comes up often enough to make it seem at least like a contributing factor. See Kenneth W. Noe's Perryville: This Grand Havoc of Battle (page 93) for one description of reaction to Nelson's death. He does not tie this reaction to Davis's release, and a comment by an anonymous poster on the Random Thoughts About History blog states a belief that this line of thinking is incorrect. However, this theory ties in closely to a third one I found - that this incident was a "matter of honor" and Nelson's insult of Davis made the shooting justified. With the "Nelson deserved it" line of reasoning, this particular theory may be just about the same as the previous one, but I separated them since the previous one focused on Nelson and his personality and this one looks more at the actual incident. Among the sources mentioning this idea is a recent article by the Richmond Register and a file at the Camp Nelson National Cemetery website. An article from Historynet.com claims that Buell did not have time to handle the court-martial and asked Washington to handle it since his offensive operation was in progress. The final explanation mentioned in several sources was that the Union army simply needed experienced and talented leaders in the field in the Western Theater and could not afford to have someone like Davis incarcerated, especially with Nelson already dead. 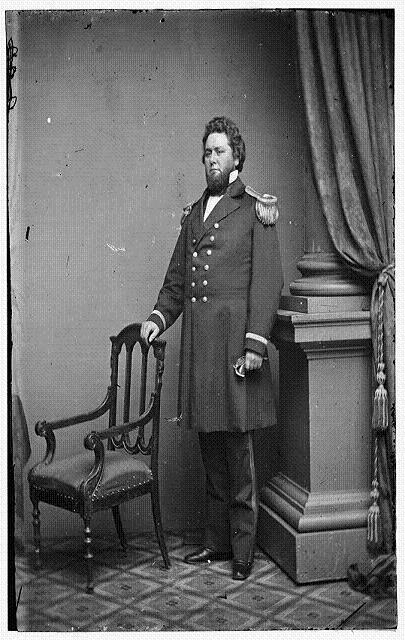 Testament: A Soldier's Story of the Civil War by Benson Bobrick reported that Davis's "talent, apparently was deemed too great to spare." (See pages 95 and 96) in the army at this time. Evidence that perhaps supports this idea can be found in the official records, series one, volume XVI, part two. On page 510, a request from Horatio Wright, head of the Department of Ohio, to General-in-Chief Henry W. Halleck reads: "We have no good generals here and are badly in want of them. Sheridan is worth his weight in gold. Will you not try and have him made a brigadier at once? It will put us in good shape." This was from September 12, almost three weeks before Nelson's death and Davis's arrest. I also found a copy of Davis's obituary in the New York Times of December 2, 1879 and it mentioned that Davis was "honorably acquitted on the trial." (Please see the link here.) Since every other source indicates there was no trial, I did not include this report in my thoughts on the matter but thought it interesting enough to merit mention. As I stated previously, some of these are very closely related and a couple could be categorized as being virtually the same theory, but, even so, no matter how someone may list or separate these ideas, it seems clear that no one theory is significantly more popular or seems more accurate or probable than the others, but, rather, that they all worked in combination to form the right atmosphere for Davis to avoid punishment. One thought that came to my mind as I pondered the situation and these varying ways of looking at it was perhaps this signaled an overall lack of leadership in the department - no one person took charge of the situation and handled it. Even Buell, who had Davis arrested, found reasons not to handle the prosecution and tried to get officials in far-off Washington to take over the case. Maybe in this sense it kind of "fell between the cracks" (perhaps Morton widened those cracks as Engle suggests) with so much going on at the time, both in the field and in Washington. Was this Buell's fault since he was the army commander when it happened? Was it Washington's? This line of thinking may be one theory to add to my list, and it probably deserves more thought and exploration. The best conclusion I can draw for now is that it was mostly a matter of circumstances and, for Davis at least, luck, that he was not prosecuted or punished for the shooting of Nelson. Davis did have a powerful ally in Morton, while Nelson's few supporters had no such influence or time to exert it since they were in the field. The Army of the Ohio was in the midst of a long campaign that would soon end at Perryville, its commander lacked political support, and the Union army simply needed all the experienced commanders they could get in the field during the Confederate invasion of Kentucky. Add all these together - and perhaps add the failure of Buell or any other Union leader to "take charge" of the situation - and Jefferson C. Davis managed to continue his career as a Union General even with the murder of Bull Nelson staining his record. I have a copy of a letter from a great-great-great uncle dated September 30, 1862 from Louisville,KY, which mentions this murder. It stated that General Nilson punched General Davis who then pulled out a gun and killed General Nilson. Do we know when Davis returned to command after Nelson's murder.